Sardar Gunj Mercantile Cooperative Bank Ltd. (Anand) English Medium College of Commerce and Management (S G M English Medium College of Commerce and Management) popularly known as SEMCOM was established in the year 1997 with the objective of imparting quality education to the students who desire to graduate in commerce, management and IT. 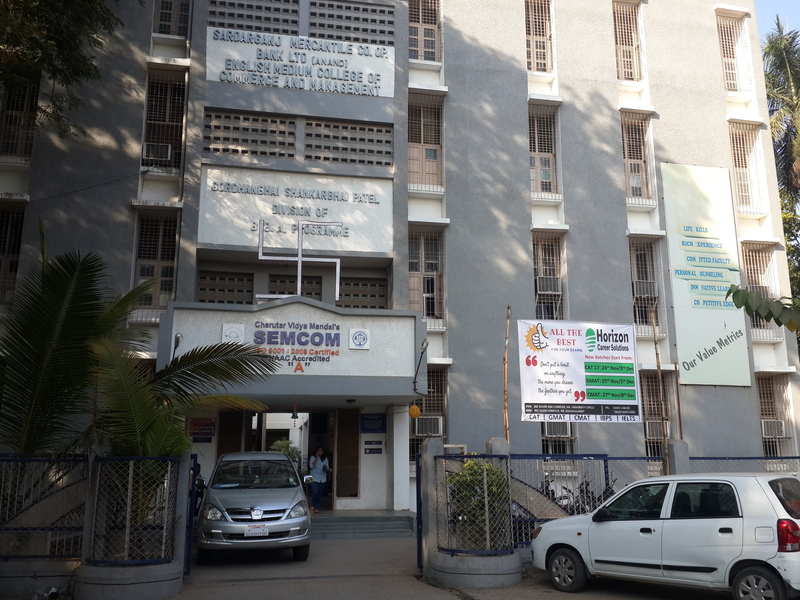 The college has been established by Charutar Vidya Mandal (CVM), an educational trust with a vision of regeneration of society through education. SEMCOM is set up with the generous donation of Rs. 35 Lakhs against the total project cost of Rs. 150 Lakhs by Sardar Gunj Cooperative Bank Ltd. (Anand) on self-finance basis keeping in mind the changing policy of the government of inviting private institutions to supplement the government's efforts in higher education. The college, in a short span of time has established its presence in the state of Gujarat.